In this article, we will identify some key benefits to becoming more customer centric online as well as outline how government agencies and NGOs can become more customer centric this year. Spoiler alert! You will also get an inside look at how Canterbury City Council has successfully worked its way towards becoming a more customer centric organisation online, with the help of feedback and smart planning. 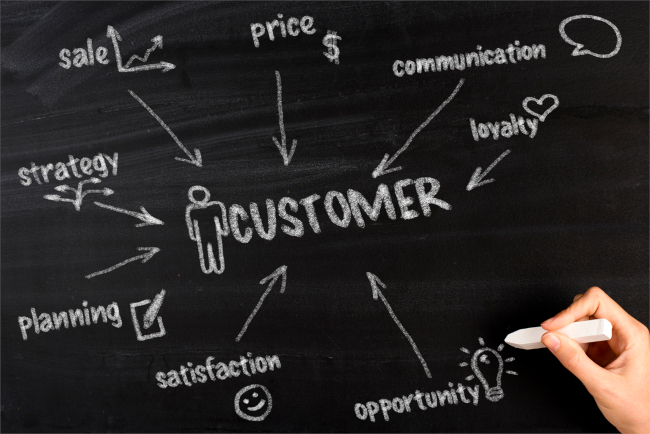 Note: this article will focus on only the digital side of customer centricity. The reason being is that online channels will have a far greater impact on the customer/citizen experience, now and in the future – thanks to digital transformation. Why is Online Customer Centricity important for these organisations? There are a lot of different reasons why government organisations should engage in a customer centric approach across digital channels. One of the biggest reasons however is that it simply eliminates hassle. In an increasingly interconnected world, consumers/citizens have grown accustomed to the convenience of digital channels and online service. We are no longer willing to spend our time standing in lines or waiting on hold for our questions to be answered, and this is no different when dealing with NGOs and government agencies. 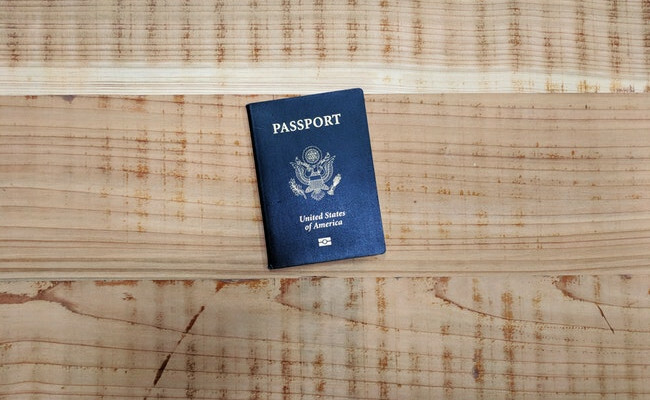 A simplified, unified, and shared network of government agencies, infrastructure, resources, and systems allows for easy government-wide digital identification of participants without replication. For example, if these organisations make online processes available for citizens to complete tasks such as filing their taxes, changing their home address, applying for a new passport or requesting federal student aid, then all of those once-involved processes such as standing in line to submit documents can be eliminated, or at least lessened. [Digital transformation in government] takes working and meeting with the customer, building a strong relationship and digging into their business models to understand citizens’ goals. So now the question is…how exactly is online customer centricity achieved in practice? Customer journeys in this industry are often very long and expand across multiple channels as well as touchpoints. For example, the customer journey of a retail customer looking to purchase a new pair of shoes may last anywhere from a few minutes to a few days, whereas the customer journey of a student applying for federal student aid could take weeks. It’s a tricky business keeping your customers satisfied with such journeys, as well as at individual touchpoints. 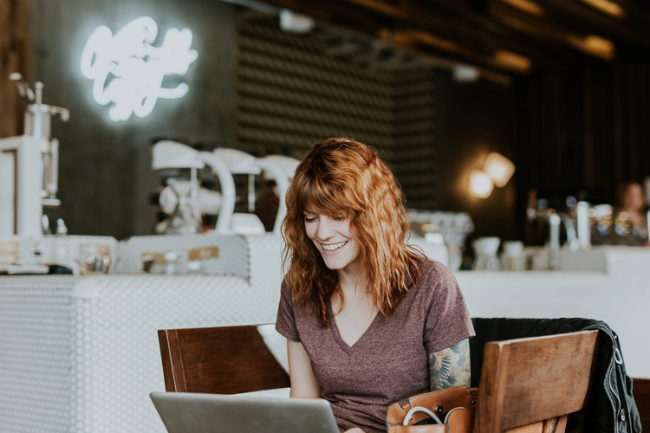 The first step of the process is recognising how important online customer centricity is to your organisation and moving it to the top of your list of priorities. This will require you to get others within your organisation on board with the idea and therefore willing to work with you to make the programme a success. What we see with a lot of organisations (not just governmental) is that the data they collect from customers often falls into departmental silos. In other words, wires get crossed, important data fails to be communicated to the right person/department and as a result, your customers are left in a limbo of inconsistency and unanswered questions. Avoid this at all costs and work to make your departments as well as individual employees understand why you should be employing a customer centric approach to your business activities. Once you have online customer centricity at the forefront of everyone’s thinking, it’s time to create the conditions for it. Your organisation (as a whole) needs to come up with a way of empowering employees to think and act with the customers’ interest in mind, which leads me to my second point: coming up with a plan. That’s right, now you need to start thinking about how you’re going to achieve customer centricity for your online visitors. One of the best and arguably most effective ways of doing this is creating customer journey maps. With various portals and online channels, this can be a bit tricky at first so start small. Central to any successful customer experience program is a focus on identifying, understanding, and mastering the customer journey: the complete end-to-end experience customers have with an organization from their perspective. A customer journey map essentially tells the story of the customer’s experience – which starts at the initial point of contact all the way through to a long-term relationship – giving us critical information about key interactions along the way. 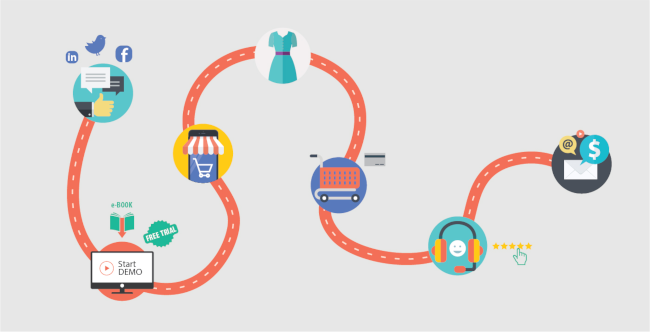 Here are some customer journey mapping tools that can help guide you in this stage. Start by identifying which channels you want to learn more about (website, mobile app, email) and then slowly start breaking it down into touchpoints on those channels, key personas and how those personas interact. There are lots of tools to choose from when it comes to listening to the Voice of the Customer so it’s important to think long and hard about which features are important to you. It helps to keep the three main stages of a feedback programme in mind: collection, analysis and taking action. Do you want to collect feedback using passive or active feedback forms – or both? 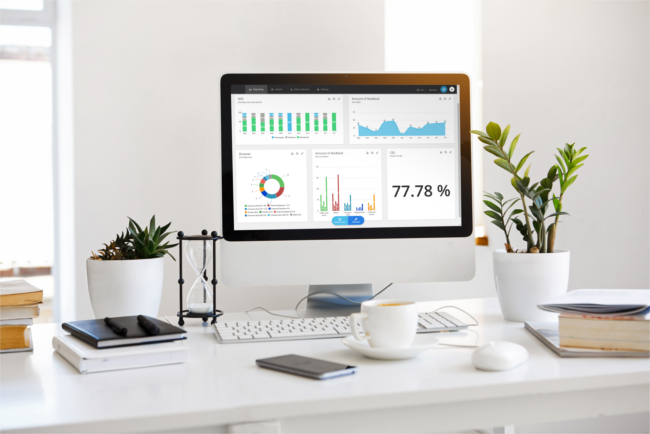 What kinds of dashboarding capabilities (such the ability to cross tab, analyse open comments or the layout of the dashboard in general) do you require? Are a large percentage of your visitors entering your website via a mobile device? Then you’ll want to be sure you have chosen software that is mobile-friendly and responsive. Keeping your previous journey mapping and research in mind, you can start deploying feedback forms on your website or mobile app. 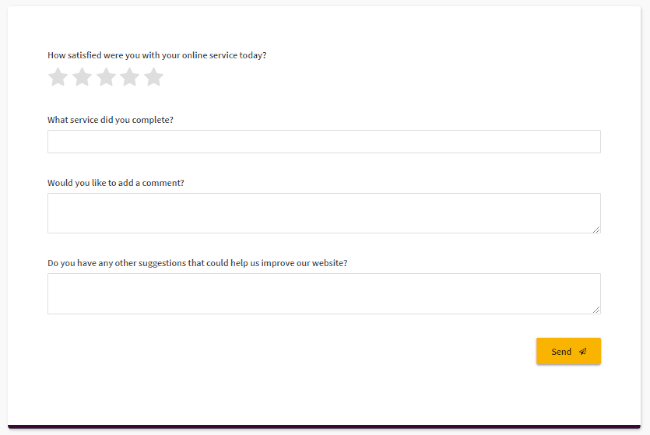 Online feedback forms are dynamic tools used to capture customer feedback on websites and apps. Applying these forms to your website or mobile app can help you gauge which issues your customers are running into, why they are aren’t converting, and much more. So depending on what your goal is, you can start making decisions about which questions to ask and when. For example, going back to the federal student aid example, let’s say you want to learn more about that journey and how the students filling in the applications experience the journey. You could include a feedback form at the end of the application process that asks how they experienced the process, e.g. using Customer Satisfaction or Customer Effort Score (how much effort the process took them). Based on the results, you can see where your weak spots are or alternatively, where you’re doing well. Not sure how to get started with building your feedback forms? Check out this list of templates. Customer satisfaction often stems from continuous improvements made to online funnels and web pages, which means your website or app should not be a static medium but rather something that is changing all the time. In other words, analysing and acting on your feedback is an ongoing process. This is especially true for government organisations, where processes and policies are always changing. Canterbury City Council (CCC) is the local authority for the City of Canterbury, which is situated in the county of Kent, United Kingdom. The CCC (a proud customer of Mopinion) works with a relatively small in-house team that includes research, analysis, service design, development and content design skills. We asked CCC’s Product Manager David Newell to tell us a little bit about his organisation’s efforts to become more customer centric with customer feedback. He was also happy to share some of his advice for other organisations that are looking to do the same. What is CCC’s approach to becoming more customer centric? “Our focus is on giving users the online experience that they have come to expect. We do this by getting a deeper understanding of their needs and designing services that make it easy for them to get things done. Our priorities are largely based on insight. The team works quickly to solve identified user needs, by analysing a combination of collected data to inform new services or make improvement to existing ones. Then when we launch something new it’s important that we’re able to see exactly how real users are interacting with it, and get their views on how it could be improved. So we take full advantage of the development lifecycle (alpha, beta, live) to gain feedback at every opportunity and ensure that we’re flexible to change. So what is CCC’s advice? In terms of Mopinion forms, currently Canterbury City Council has a general site-wide ‘did you find this useful’ survey, and a satisfaction survey that they send via email when a ‘transaction’ is completed. With the latter, they use parameters in the URL, so that they can tell exactly what service they were using automatically, and the standardised format allows them to easily report on that. Ready to become more customer centric across your digital channels? Most government agencies have a lot of ground to cover in terms of digital customer experience and customer centricity, but there’s certainly room to grow. And as more and more customers raise their expectations regarding personalisation, convenience and overall online experience, there’s no better time than now for government organisations and NGOs to get started!